The children begin walking at the start and follow the dashed line until one lap has been completed. 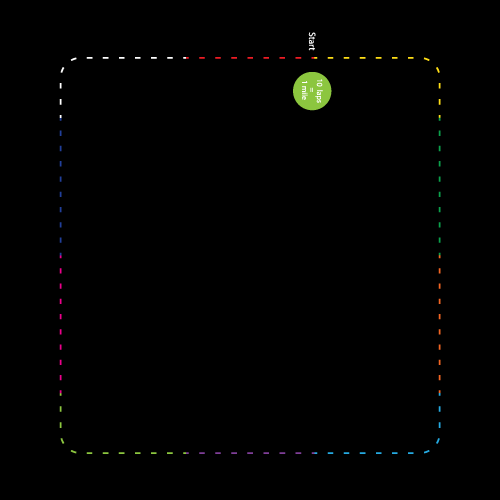 In this example, once ten 161m laps are completed a mile (1609.34m) has been walked. However, in most cases, we will individually design a circuit to fit your play area and calculate the number of laps required to complete one mile. This mile walk can be done on separate occasions during the day or at once during a PE lesson. The playground mile walk is designed for schools that do not have extensive school grounds to accommodate a mile track, or when the school field is not in use.